In today’s Internet-centered world simply offering a great product or service just isn’t enough anymore. While expertise, quality, and reputation still count, it’s imperative you also rank high in Google when people search for your type of business or service. You must have proper search engine optimization (SEO) to thrive, not just survive. Getting you positioned where you need to be in searches isn’t something most companies can do alone. How do I select the right SEO company for my business? Choosing the right search engine optimization company to partner with is critically important to your business; you need make a savvy decision. There’s much at stake, and time is of the essence when it comes to generating visibility in organic search results. Moving fast is essential. The more time that elapses, the more chances your competition is reaching your potential customers first and siphoning off your income. To help simplify selecting the right SEO company for your needs, here are seven tips to help narrow down your search for the best, most affordable, professional, and effective SEO partner. One plan is not enough for all. When choosing an SEO company, make certain they offer their customers a variety of plans and price points to suit the needs of different sized businesses. The same SEO strategy doesn’t work for every company. At nTopic, we understand every business needs to reach their potential customers in different ways. We take an individualized approach and design marketing strategies specific to each company. If you used the same exact marketing strategy as every other business in your field, your content wouldn’t stand out and consumers couldn’t find your pages. How effectively keywords are optimized on your website is an integral part of how search engine spiders rank your pages. It determines how quickly consumers will find you in a keyword search. At nTopic, the first thing we do is analyze your website content, then we optimize your keywords, plus suggest alternative ones to increase your page rank. We’ll even give you a special analysis report detailing how the right keywords will increase your traffic. Once you begin working with an SEO company, you’ll want to feel certain they’ll always be there to help you when questions or concerns arise. The best SEO companies will not only assure you of getting answers to your concerns promptly, but they’ll be able to anticipate any possible concerns and provide expert advice for growing your search capability. By addressing concerns before they become questions, work can be implemented faster, and traffic will start finding your website quicker. Right On Time When it comes to search engine optimization, timing is a crucial factor. Chances are, every one of your competitors is also vying to climb to the top of the standings. Therefore, the SEO company you choose to work with needs to deliver top-quality professional work in the shortest time frame possible, and without you needing to monitor their every step. At nTopic, our expert SEO team will effectively work on improving your website page ranking, leaving you free to work on growing your business in other ways. For a search engine optimization company to develop an individualized marketing strategy, then find high-ranking keywords with decent traffic—yet low competition—involves a lot of hard work. You wouldn’t want to choose the lowest price for this service, but you shouldn’t need to pay the highest rate either. 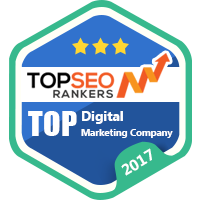 The most professional SEO experts charge a fair price, deliver exceptional service, and guarantee their work. Linking Strategies That Connect While it’s one thing to rank high for certain keywords, it is another thing altogether to have a solid linking strategy in place. An excellent SEO company will work on developing reciprocal and one-way linking and demonstrate they understand how important these parameters are to the search engines. They should not only perform a detailed analysis of the linking structure within your website but show you exactly how they plan to improve upon it. One of the reasons business owners like working with nTopic is because we’re detailed-oriented and always follow through on our promises. When you first begin working with a professional search engine optimization team, they should fully explain how they plan to increase exposure to your website and get you top rankings on Google. You should feel confident the marketing strategies they plan to utilize will drive more targeted customers to your products and services, grow your customer base, and increase your revenues. The tips above should serve as a guideline for helping you choose the right search engine optimization company, plus getting you started on the right path. The SEO company you select needs to systematically increase the presence of your website, and move you every day toward the top pages of Google and the other major search engines. The truth is, if your website is not on the first page of Google for your business, products, or services, you’re losing money to every competitor that ranks above you. Whether you’re a national business or competing on a local level, your need for an SEO expert remains the same. The Internet, along with the smart phones that nearly everyone carries, has replaced the phone book in most homes. People today tend to rely on searches to locate businesses in their area that can meet their needs. Your business needs to be the first name they find. Webmetrix Group proprietary semantic web technology services will get your website mobile optimized, help your company rank higher on Google, and enable you to dominate your competition. We have multiple offices with them being in New York, Indianapolis, Louisville, Cincinnati, Baltimore, Nashville, Orlando, Las Vegas. Contact us for a free consultation and website analysis. We’ll give you an honest review of your current website and outline the changes we can make to help ensure more people find you, grow your business, and improve your profits. Ready to take your success up a level? Let’s talk.